Machine translation usage is increasing a lot at SAP and has many applications. Now, it is also becoming a reality for SAP Notes and Knowledge Base Articles in the main channel of Product Support: The SAP ONE Support Launchpad. So now, when it comes to implementing an SAP Note or SAP Knowledge Base Article, increasing numbers of customers will be able to read the content in their native or preferred language as we introduce self-service machine translation for multiple languages, removing the language barrier for even more customers. Immediate access to machine translated SAP Notes/SAP Knowledge Base Articles. Real-time, machine translation powered by SAP’s neural machine translation engines (SAP Translation Hub API) in multiple languages. Directly available in the SAP ONE Support Launchpad display. User accesses an SAP Note or SAP Knowledge Base Article in the ONE Support Launchpad. They choose the Languages tab and can select ‘Machine Translation’ for available languages (currently Japanese and Portuguese, others to follow). A new browser Window opens to display the machine translation with a disclaimer and information about how to submit feedback. The SAP Translation Hub machine translation API considers 25 years of SAP Terms and translation memory content and translates the entire sentence/paragraph within the correct technical and business context. SAP Translation Hub is an application based on SAP HANA Cloud Platform. It provides developers with multilingual texts for their UIs from the GS SAP Language Services translation repository, supporting them in creating and maintaining multilingual applications. Japanese: Already available– Live as of Jan 11th, 2018. Brazilian-Portuguese: Already available– Live as of March 5th, 2018. English, German, Chinese-Simplified, French, Spanish, Russian, Korean, and Italian: coming soon. We will continue to work closely with our customers to pilot and activate additional languages over the coming months, with a view to ultimately implementing all available language pairs. Execute strong communication plan exploring the existing channels (SAP Support Portal, SAP Community, Facebook, Twitter, etc.) to announce this new feature to SAP Customers, Partners and Employees. Thanks for sharing, Fabio Almeida ! How does this translation stack up against Google Translate (which I used before to translate some notes from German to English)? I’d expect for the SAP translation to perform better since it should know the SAP terminology but I’d have to see it to believe it. I’m wondering if SAP team has already done such comparison and could share the results. I was wondering the same – so I did some tests translating improvement requests, that customer have submitted to SAP to improve our products, from English into German. I compared Google Translate vs. the new SAP Translation Service. The SAP translation performed much better, not only because of the SAP terms taking into account, but also because the structure of the sentences were better to understand. Of course, this is only my personal experience. Thanks for your comments and interest! We performed several test cycles internally before going live with the Japanese and Portuguese languages. We also invited local customers and user groups to make this validation. And, at the moment, the same is happening for the other languages in scope. We have compared the results, as you proposed. 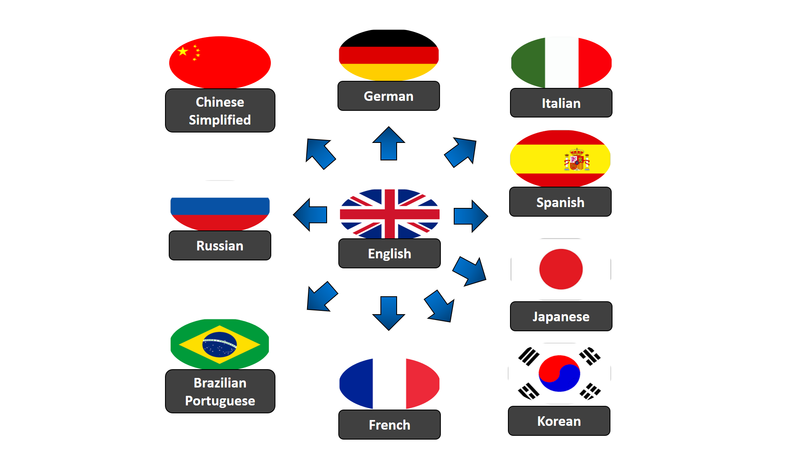 The SAP Translation Hub understands and translate the technical terms from SAP, using SAPterms tool. The other translation tools keep the structure of the senteces simpler, but does not understand/translate the technical tems from SAP. For sure, there are translation tools in the market for a long time. The advantage of our API is the translation of the SAP business context. All testes performed so far showed us an accuracy level more than 90% (quality of machine translation). I am working on it, checking some details to provide a more tech info. Providing content in the local language of our users is yet another way to improve the quality of our work. This is a great initiative! Thanks for your feedback, Alice Otero! We are working to improve it even further! Call for volunteers: Help shape the language experience for SAP Notes and KBAs! As mentioned above by Fábio, we want to work closely with our customers to pilot and activate additional languages for this service. We are currently seeking volunteers to participate in our pilot program to test the quality and performance of the German translation self-service option. If you are interested in getting involved, please contact me at Fiona.murphy01@sap.com for more information. i am still waiting on the german translation. Wondering why it takes so long for ML company SAP to fix this complicated language problem?